With one obvious exception, the word chronic never refers to anything good. Someone is a chronic liar or a country is in a chronic state of civil war. Or someone has a chronic disease. Like me. Four months into my multiple sclerosis diagnosis—and four years since the first symptoms that caused a neurologist to warn me that such a diagnosis might be coming—it still feels weird to acknowledge the fact that I am sick. I don’t feel sick. 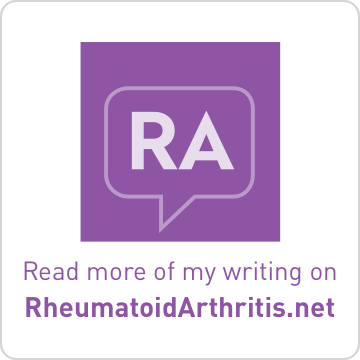 Unlike those diagnosed with other chronic diseases, like, say, rheumatoid arthritis or Chrohn’s disease, I endure no pain from my illness. My symptoms—some mild slurring, followed by numbness on half my face—have only impacted four weeks of the last four years and, while annoying, were neither debilitating nor readily detectable to anybody I was interacting with. Faced with this you naturally wonder, as do people who should know better, like your husband and your shrink, if you should even bother taking medication for your mostly invisible disease. Surely you are about to wake from the absurdist dream you’ve been having where you, a needle phobic, are now supposed to shoot up a medicine every Thursday that makes you feel like you have the flu for sixteen hours in order to treat a disease that is currently presenting zero symptoms. But then the second opinion neurologist, the one who is a foremost expert in the field, tells you in her calm Texas drawl that, yes, you have to take the preventative medicine; that first neurologist you saw wasn’t just making that up. 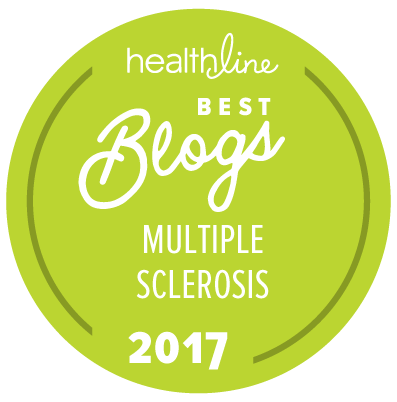 Your disease may feel like a fraud now, but MS has the astonishing potential to morph from an annoyance to, say, paralysis, an outcome you don’t want to dice with much. And she is right, especially the part about the healthy people. This explains why most my friends never ask me much about my MS. I am a living, breathing incarnation of what they hope never happens to them, and they’d understandably rather not talk about it. Frankly, it is a preferable state of affairs to those who do ask me about it because, invariably, these types want to know if I am going to change my lifestyle. This, of course, is just a polite way of asking me if I am going to drink less wine. I am not, both because I like wine and because drinking wine does not cause MS (I asked my neurologist). But as I once was, these people are desperate to believe that there is something I (read: they) can do to control bad things, like MS, from happening. Deep down there is some little part of them desperate to believe that there must be a reason (read: something bad I did) I got MS. I am neither surprised nor angered by this reaction, but that is probably because MS has not yet, and hopefully never will, made me very sick. Just the other day I heard a reasonably intelligent person imply that the rise in women’s cancers is due to women letting themselves get burnt out. On behalf of the three women in my life who have recently lost both their breasts to cancer, I wanted to ring this woman’s neck, or at least buy her a copy of Susan Sontag’s Illness as Metaphor. Thirty-five years have passed since Sontag pointed out the lunacy of using romanticized language to create an acceptable way to blame the victims of disease and, yet, it is still fairly commonplace to hear people imply stress or bottled emotions or some other similarly nebulous thing is to blame. In the absence of any answers from science I turned to the transformative power of language. Lesions were for lepers or people with venereal disease. They simply would not do. Therefore, I decided I had les ions, pronounced lā-ē-uh, with a trademark French grunt on the last syllable. It still sounded vaguely scientific, yet at the same time foreign and alluring. And best of all, it made me feel, just for a moment, like I was in control. Despite my wariness over the use of flowery language when it comes to illness, I am giving myself a pass on this one. I liken it to the same rule of the universe that makes it OK for me, but nobody else—especially my husband—to make fun of my immediate family. 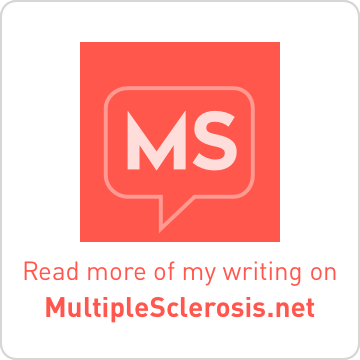 After all, MS is my disease, and I can call it anything I want. This concludes the 141st edition of the Carnival. 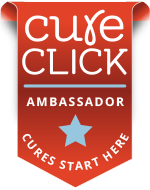 The next Carnival of MS Bloggers will be hosted here on May 30, 2013. Please remember to submit a post (via email) from your blog of which you are particularly proud, or which you simply want to share, by noon on Tuesday, May 28, 2013.